The quality of the more simple treatments we provide – such as a single-tooth restoration involving a cavity – encourages patients to trust us with more complex dentistry. Little things in patient care can build up over time, eventually leading to case acceptance down the line or even greater loyalty. 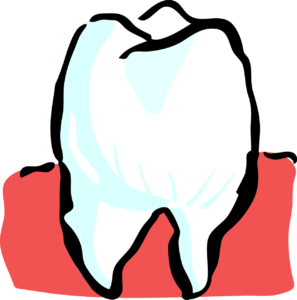 Handling caries, which often requires treatment with a basic tooth-colored restoration, is one way this can occur. The procedure doesn’t take long, but many of the elements necessitate deeper consideration, such as the quality of the shade matching and the effectiveness of the bonding material. Posterior restorations are generally completed with composite for the best outcome. Still, there is a need to ensure the specific composite is durable without being too expensive or lacking in esthetics. You won’t be dealing with any unhappy patients down the line if you choose the right material for fillings. Bulk fill composites are a good option, especially considering certain brands can now cure to greater depths and necessitate only a single layer. That means less time in the chair and a speedier appointment for everyone. When restorations fail early, they cause damage such as enlarging the cavity or even destroying tooth structure. That’s why you should pay close attention to materials selection in these cases. Overall, the less technique involved, the better. You don’t want to have to labor over a single tooth when more complex cases might be on the schedule. You should be able to achieve a natural result without expending more time and effort than is necessary. Your patients will thank you for the quick procedure that lasts a very long time. What is your clinical protocol for posterior restorations? Please let us know your thoughts in the comments!